iPhone 8/8 Plus, iPhone X were announced in 2017. Back to 2016 Apple Event, Apple released the highly expected iPhone 7 and iPhone 7 Plus on Sep 7. Although there are various iPhone 7 pros, such as featuring with 12MP camera, stereo audio and airpods, upgrading to A10 chip etc., on average, it disappointed some iPhone users to some degree. 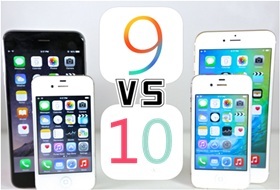 Well, compared to the early released iPhone SE/6S, here is a big issue about whether you should switch iOS 9 iPhone 6/6S to iPhone SE or iOS 10 iPhone 7. Before you jump on the bandwagon, here we compare iPhone 7 and iPhone SE and iPhone 6/Plus, three major Apple handsets, detailing the advantages, similarities, differences of iPhone 7 vs iPhone SE vs iPhone 6 to help you make your choice. Actually if you have already bought iOS 9 iPhone 6/SE, now you can update your iOS 9 to iOS 10 on iPhone SE/6 to enjoy more new features iPhone 7's iOS 10 brings to you, like Apple built-in Apps deleting, more special effects, invisible ink information, live photo for iMessage, Siri usage for third party apps, brand new app named HomeKit, redesigned interface for Apple Music, more powerful Apple Maps, to name a few. Or if you're considering to upgrade old iPhone 6s/6 to iPhone SE or iPhone 7, or backup iPhone 6/SE files and also free up iPhone space for upgrade (1-2GB free space needed), you'll need to transfer iPhone data. And that's what MacX MediaTrans will do. This all-round iPhone manager tool offers overall management for iPhone photos, music and videos backup, helping backup iPhone 6 photos, music and videos to iPhone SE/iPhone 7/Plus in batch with world's fastest speed (Intel QSV), 6 times faster than iMobie iPhone transfer and 5 times faster than other iPhone manager. No iTunes or iCloud needed, no iOS 10 update problems or iOS 11 update problems at all. iPhone SE is Apple's 2016 entry level iPhone aiming at consumers on smaller budgets, but not the only difference between iPhone 7 and iPhone SE, nor does it means that there is no impressive specs of iPhone SE to compete with iPhone 7 (Plus) or upgrade from iPhone 6. 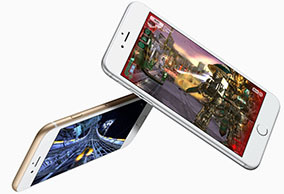 Check the iPhone 6 vs iPhone 7 vs iPhone SE below the learn the detailed specifications. The main visual difference between iPhone SE, iPhone 7 and iPhone 6 comes down to the overall designs of the three smartphones. iPhone 7/Plus will receive a major design makeover, including a waterproof design, Lightning port instead of the standard headphone jack. What's more, a brand new color new black and jet black, making iPhone 7 more desirable than iPhone SE or iPhone 6. There is no big difference between iPhone 7 and iPhone 6/6s in design however. Compared with iPhone 7/6, iPhone SE appears to be very conservative. Considered as an upgrade from iPhone 5S, iPhone SE remains some similar designs like the Touch ID in design, 4 inch display and smaller total chassis. Another distinct iPhone 6 and iPhone SE and iPhone 7 difference lies in the obviously different display sizes. As Apple usually does, iPhone 7/Plus comes in two variants, a smaller iPhone 7 in 4.7 inch and a larger iPhone 7 Plus in 5.5 inch. iPhone 7 (Plus) will feature Retina HD display and a more capable 3D Touch LCD display with higher resolution near 4K. 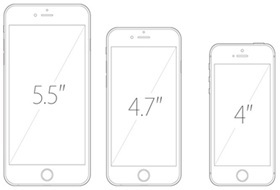 iPhone 7 and iPhone 6 have the same display sizes. Obviously, some Apple fans can't wait to download movies to iPhone 7 for free enjoyment. When it comes to iPhone 6/7 vs iPhone SE, the latter is clearly designed for those who don't want to carry around a larger phone. Upgrade from iPhone 5S, iPhone SE will carry a 4-inch Retina display with various color options. Good choice for die-hard 4-inch fans. Apparently, iPhone 7 has a massive leg up on iPhone SE and iPhone 6 in the round of operating system for iPhone 7 and iPhone SE/6 comparison. Although the iOS 9 is still young, Apple is already developing the next version of its mobile operating system iOS 10, which is likely to arrive aboard the iPhone 7/Plus. With the new iOS 10, we'll see such awesome new features as improved iMessage features, Siri for third party usage, more advanced Apple Maps, elegant Apple Music interface, etc. Yet, prepare well to cope with the problems caused by the iOS 10 update. As for iPhone SE and iPhone 6/6S, which released before iPhone 7, ship with the iOS 9. While the upgraded iOS 10 may be exciting, the current iOS 9 is also strong enough to enable iPhone SE/6 to stack up against iPhone 7. Besides, you can also get iOS 10 update from iOS 9.3.5 on iPhone SE/6/6s. The processor also remains to be a big difference between iPhone SE and iPhone 7/Plus and iPhone 6. 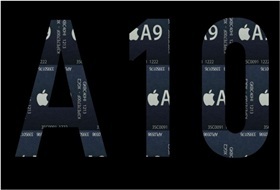 Like the iOS, it seems that Apple is not satisfied with the power offered by A9 and wanna a new, more powerful processor in iPhone 7. Dubbed the A10 Fusion chip with 64-bit architecture, the new four-core processor with 3GB of RAM will empower iPhone 7 2x faster than iPhone 6s and extend the already impressive battery life. Compared with iPhone 7/Plus, iPhone SE and iPhone 6 will stay with A9 motion coprocessor with 2GB of RAM, that's 2x faster CPU performance and 3x faster GPU performance than iPhone 5s. 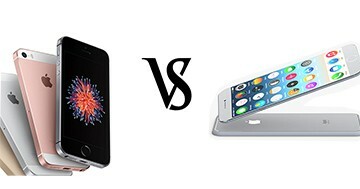 But when it comes to iPhone 6 vs iPhone SE vs iPhone 7/Plus, a lot more performance can be expected in iPhone 7 than iPhone se and iPhone 6. But both iPhone SE/6 and 7 can free up iPhone space. The 4-inch iPhone SE, same as iPhone 6/6s, pairs with the same 8-megapixel camera and 1.2MP front shooter, capable of capturing sharp pictures, live photos and 4k video recording together with improved optical image stabilization. The 1642mAh battery on iPhone SE is smaller than iPhone 6's 1,810mAh. That's acceptable for a 4-inch version. But in our iPhone 7 vs iPhone SE/6 comparison, iPhone 7 is better than iPhone SE and iPhone 6 obviously. 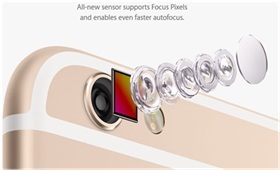 The iPhone 7 is supposed to have a 24-megapixel camera with support for third-party lenses. And the iPhone 7 Plus has a battery of 3100mAh, about 1 more hour longer battery life than iPhone 6S Plus. To some degree, you are less struggled to save the battery indeed! Certainly, if you upgrade to iPhone 8, you will have your experience to a new height. Look at iPhone 8 pros and cons before you update to it. ▶ Free download videos from YouTube, Vevo, FB 300+ sites in HD 1080P/4K UHD World's NO.1 fast speed. ▶ Easily convert videos to iPhone 7/Plus/SE/6S/6 supported file formats without quality loss. ▶ HD screen video recorder, iPhone ringtone maker and photo slideshow maker. The iPhone 8 vs Samsung Galaxy S8 comparison review focuses on the design, features, specs and value for money of these two premium smartphones. iPhone Storage Options: 32, 128 or 256GB for iPhone 7/SE? iPhone comes with a set storage capacity ranging from 16 to 256GB. The music you buy, the apps you download, the photos you take, and all of the other content that you enjoy on your device uses its storage. But you can free up storage here without losing any data. Everything was working fine until your iPhone screen went black. Now you can't use your iPhone at all, but you do know what to do next. Here are the fixes if your iPhone screen turns black. MacX MediaTrans is an all-in-one iOS iPhone transfer app to backup iPhone 7/SE/6 iOS 10/9 files and free up iPhone space for iPhone iOS upgrade. Also a useful music manager to transfer music between iPhone iPad iPod and Mac computer for better management.